Our new linen nightshirt is perfect to see you through the summer months. 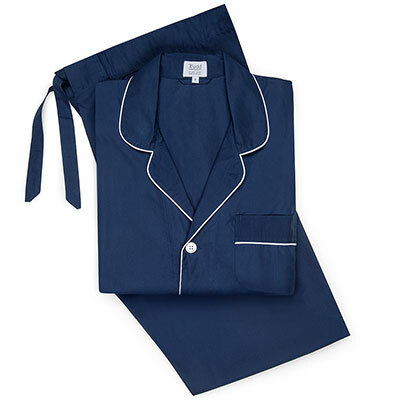 We are pleased to announce our new range of linen nightshirts. We have used the same linen that we use for our casual linen shirts to bring you a nightshirt to see you through the summer months. We have sourced the finest raw flax from Belgium from where it is shipped to one of the last mills in Northern Ireland that spins and weaves the yarn for us. The linen is then washed in the soft water that this country is known for. Comfortable and airy, our linen is a light and enjoyable cloth to help the summer months pass, as well as being wonderful to wear in warmer climates. Linen lives with you and improves with wearing and like a fine wine it will improve with age, softening and fading in a most pleasing way.